The following Schedule shows our upcoming events & should help you plan your vacation with us. A minimum of 6 adult guests are needed per sailing. Check out our Bookings Calendar, or drop us an email if you need help forming up a group. We can also do private charters for both larger & smaller groups - just email us for details. 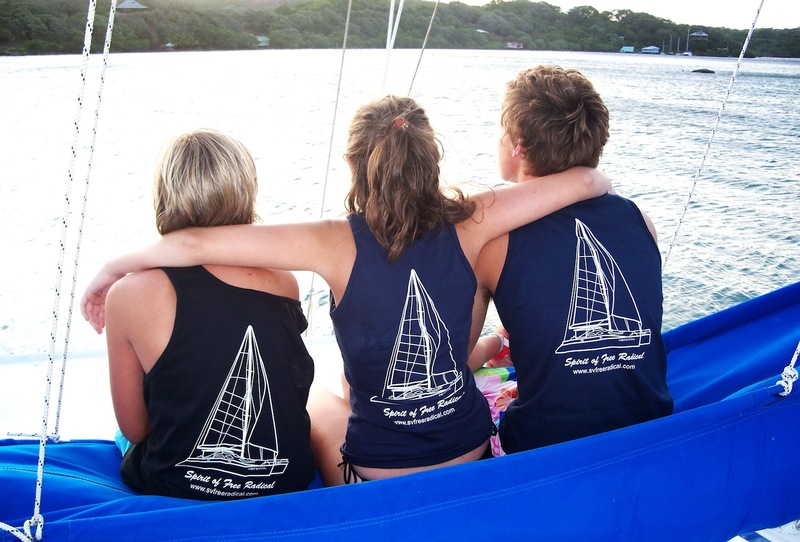 To book an adventure, a $40 per person deposit is required with balance due on the day when you board the catamaran. If you are coming by cruise & for any reason, the cruise ship does not come to Roatan (eg. bad weather), or if the weather is such that we feel that we cannot give you a safe and fun trip, your deposit is fully refundable. Transportation for cruise guests is included with your excursion. If you are staying on the island and need transportation to Oakridge, we can help by making arrangements with one of our drivers. Simply Contact Us & inquire as to when you want to come, for how long & how many people. We will make up a quotation. Please make sure you do this before you send your deposit. After reading our Terms & Conditions below you can send payment through Pay Pal or Credit Card using the Pay Now button below. Disclaimer: Although every effort is made to ensure your complete safety while on or around the catamaran, Radical Adventures, its owners, & staff do not assume responsibility for any claims, or any expenses of any nature arising from loss, damage, delay, inconvenience, upset, stress, injury, accident or death that occurs during tours or during any other activities. Participation in activities is at your own risk. Medical Information: Guests with medical problems or dietary restrictions should make them known in writing to the Radical Adventures. Staff will reserve the right to deny a guest’s participation in any activities, at their discretion. Cruise Ship Guests: Even though all excursions are tailored to match your cruise ships itinerary it is your responsibility to monitor the time & make sure you are back on board in time. Radical Adventures, its owners & staff do not assume responsibility if you miss your ship. Drug Possessions/unlawful Acts: The use or possession of any illegal drugs (including marijuana), controlled substances or firearms & all other contraband will result in immediate termination of the charter without reimbursement. Authority: It is agreed that the Charterer may determine the general movements, program, & destination of the yacht, but it is understood that the Captain is in full command at all times & the Charterer shall abide by the Captains judgment as to sailing, recreation, weather, anchorage, & all the other matters that may affect the safety & well being of the passengers, crew & yacht. Charterer's Responsibility: The Charterer agrees to be responsible for & to replace or make good any injury to the yacht, her furnishings, or equipment, caused by himself or any of his party through carelessness or neglect, & to satisfy any indebtedness that may have been incurred for account of or by order of the charter party, including reasonable attorney’s fees. Accidents/unforeseen Circumstances: Should the yacht, during the period of this charter, be lost, stranded, or disabled by an accident, breakdown or other unforeseen circumstance, or unable to perform this charter because of fire, perils of the sea, or other unavoidable accident rendering her unfit for use or purpose of the charter, not brought about by an act or fault of the Charterer, the charter shall cease from the time thereof & neither the parties shall then be liable for the loss, damage, expense or inconvenience resulting. Should the yacht suffer a mechanical breakdown during the charter period, which cannot be repaired within 24 hours, the Charterer may cancel the remainder of the unused portion of the charter & receive a full refund on a pro-rata basis.